OK, maybe not, but as you've probably heard, evangelist Harold Camping is predicting the Rapture for this Saturday, with around 200 million followers slated to be taken up to Heaven. 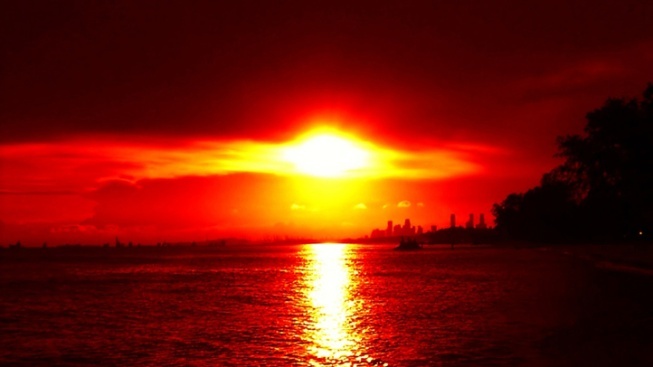 The end of the world is penciled in for five months later, on Oct. 21. Duffy's Irish Pub (2106 Vermont Ave. N.W.) is offering a Doomsday Happy Hour -- although technically, that would sound like a pretty unhappy hour. Nonetheless, this Saturday you can down half-price beers and wings from 5 to 8 p.m.
A group on Yelp is also promising to bring a rapture party to Church and State (1236 H St. N.E.). Of course, if you are planning on getting a move on this weekend, remember your pets will be staying behind. Care services such as After the Rapture Pet Care and Eternal Earth-Bound Pets will ensure your critters are looked after. Then again, assuming we're all still here on Sunday, let's plan to do this all again in December 2012.